The Islamic Shura Council of Southern California is pleased to name Ajarat Bada as our Muslim of the Week! Through numerous avenues, Ajarat seeks to help her local communities in implementing development policies akin to the United Nations. One of these initiatives, The Missing Millennium Development Goal Initiative, highlights the role of religion and peace in these types of policies. 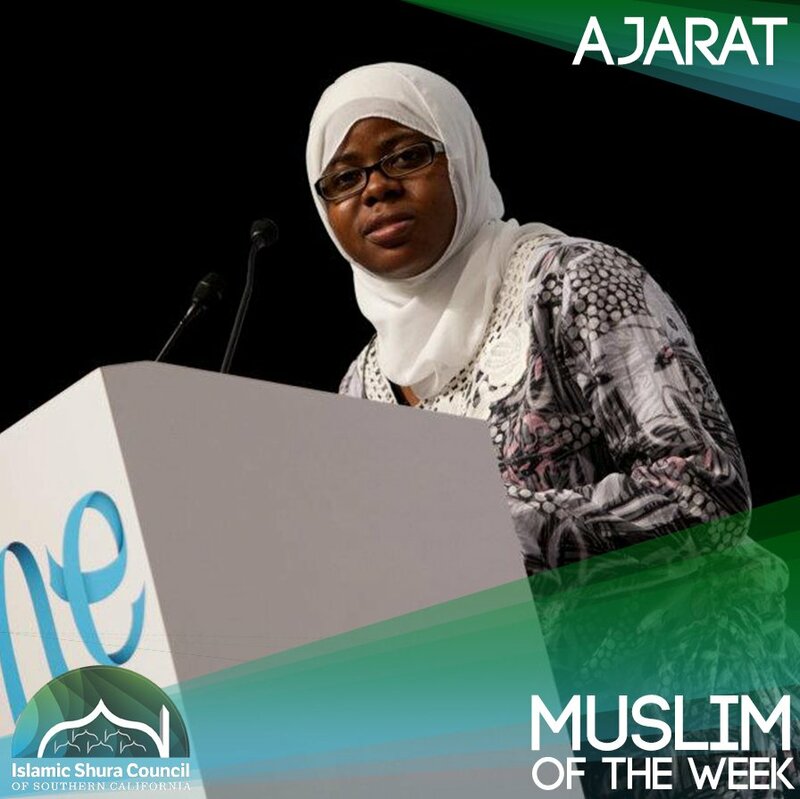 For serving her community so passionately and positively, Ajarat Bada is our newest Muslim of the Week.